If you were to make see list of the best co-pilots in all of the galaxy, at the top of the list you'll see the name Chewbacca, hands down. This wookiee has gone on many adventures with his good buddy Han Solo including that one time they only saved the entire rebel alliance. 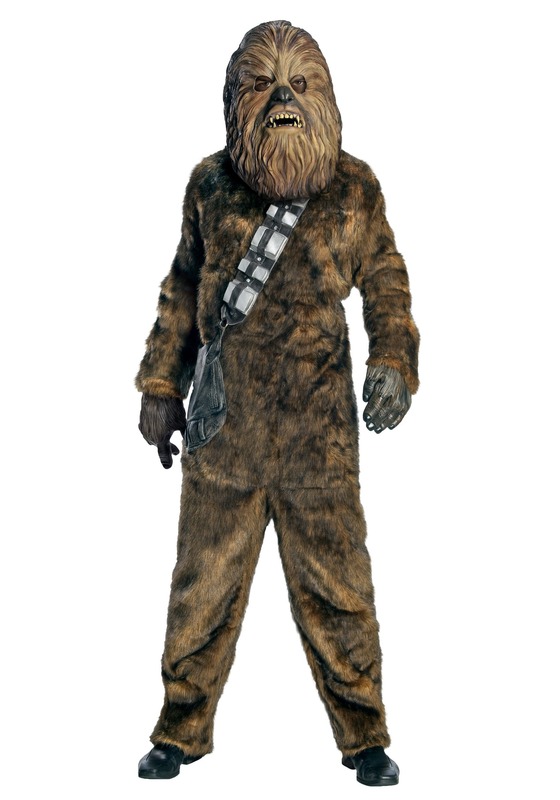 Become the galactic hero with our deluxe adult Chewbacca costume! It looks just like the famous wookiee. Now, it does not come with the skills to pilot the Millennium Falcon or anything, so we recommend not even trying. You wouldn't want to end up lightspeeding into an asteroid field or something. That would end your party REAL quick!